We all know gambling is fun. It gives that jolt of excitement and a release from your nine-to-five life, and the stress that it brings. However, it is relatively easy to take gambling too far. Unfortunately, when gambling stops being fun, it goes from bad to worse very quickly. Once you start losing money, you should have the mental strength to stop gambling. It is when you start chasing your losses that you might end up in serious trouble. But, here is the issue, even losing while gambling gives an incredible adrenaline rush. And, since we are all human, we are all susceptible to the addiction to that high. If you or a member of your family have shown that they aren’t able to remain in control, you would do well to read this article. 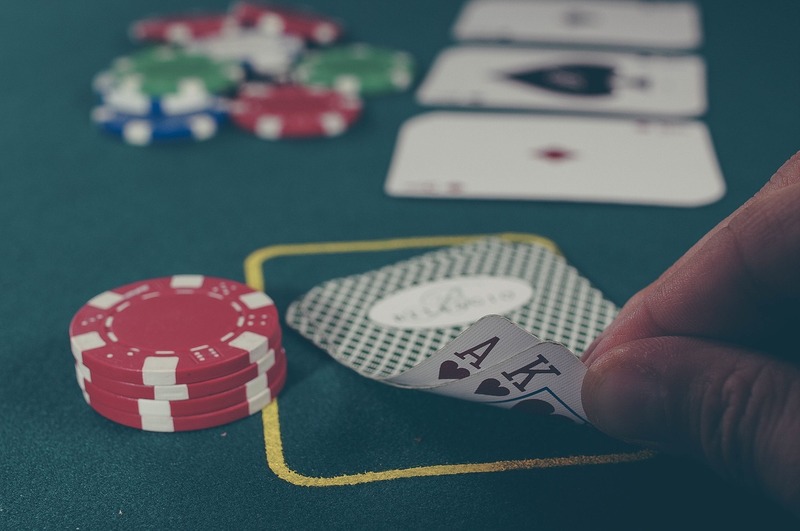 Developing a gambling addiction can cause serious consequences. But, it is not impossible to help a compulsive gambler. However, most gamblers will firmly believe they have full control over their habits. After all, it is true that most people who gamble, don’t have an addiction. And, it makes sense for you, or your friend, to believe there is no compulsion. That is why most people require help to kick their habit. And, to help them acknowledge they do have a problem, you should focus on some of the symptoms common with compulsive gamblers. The first sign that you should notice is the amount of time they spend gambling. In most cases, the time will increase with every passing week, and so will the stakes. Remember, for most addicts, it is not about the potential profits, it is about the thrill. And, increasing the stakes gives a bigger thrill. The second thing that’s a sign of compulsive gambling is the need to hide the habit from friends and family. However, you should bear in mind that they are also lying to themselves most of the time. The most common lies are about how much money they are losing. But, there are also many who lie about gambling in the first place. And lastly, when someone with a gambling addiction loses their money, they get desperate. They need more money to continue gambling, and illegal activities are a serious possibility. If you are noticing these signs in your own behavior, or the behavior of someone you love, talk about it. Just remember, don’t judge them for their difficulties. They are more than likely to become defensive, but being angry with them will only make matters worse. One of the best ways to kick a habit is to find something else to replace it. So, take your time and go through various activities they might like. Some of the common hobbies include gaming, traveling, playing sports, and learning new skills. All of those hobbies are capable of holding someone’s attention and helping them forget about their addictions. However, they will definitely still want to gamble. So, if you are afraid they will go behind your back and gamble, you could set them up with free alternatives. Namely, some of the best online casinos usually give free spins or similar benefits to users. For example, you can create your own account and get the £10 no deposit casino credits. Then, you can let your friend use those free credits to gamble without risks. Ok, you gave them some other activities to consider. However, there is no guarantee those will hold their attention. And, if no one is looking after them, they are more than likely to simply return to gambling. So, make sure you are there for them through the quitting process. And, one of the main tasks you have would be to make them busy. After all, having to deal with boredom is one of the most common reasons for people to relapse. Go out with them to the movies, have dinner together, or play games with them. Just make sure they don’t spend too much time alone. You can also be there to encourage them to pursue their hobbies. When someone you love is addicted to gambling, that reflects on you as well. You are going to have to deal with your loved one’s addiction, and you might need help with that. Try joining a support group or talking to a therapist. You will have to find some help to process your feelings while you are trying to support your loved one. The last step of quitting gambling is moving on with your lives. You will have to accept the consequences of the gambling. That means that you shouldn’t obsess over the loses and live in the past. Focus on the future and work on making it better.